Inking Idaho: TOTE-ALLY Awesome Opportunity! 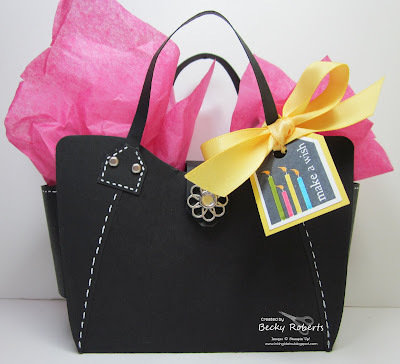 I've got a TOTE-ALLY awesome opportunity for YOU!!! 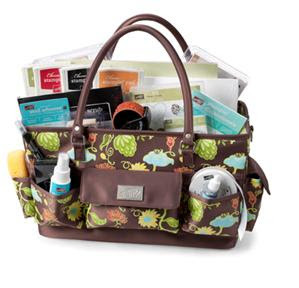 From now until October 18th, receive a FREE craft tote (a $39.95 value) when you join Stampin' Up! as a demonstrator! The fall and winter holidays create some of the BEST stamping opportunities...it's a great time to earn some extra money! 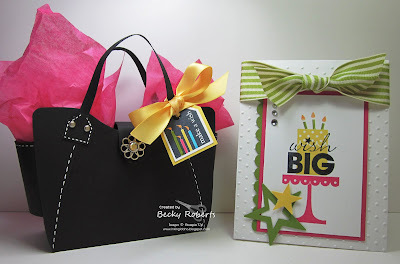 Imagine... sharing your ♥ of Stampin’ Up! with this stylish and practical tote, patterned after our Greenhouse Gala Designer Series paper and large enough to carry 12” x 12” card stock and a Paper Cutter, as well as punches, ink pads, and accessories. And with two Starter Kits to choose from-Standard and Digital-at a brand new lower kit price, there’s never been a better time to join the Stampin’Up! family! Isn't this darling...if I do say so myself! I had a customer purchase a gift certificate for a special birthday so I had to package it up super cute!! Once again using a birthday card inspired by Mary Brown. You can order the pattern to this gift card size purse HERE. It is one of the Tres Chic Handbags. What a cute idea you are the greatest stamper ever! I so wish I lived near you. How do you find the time!!!??? Now, this really makes me wish you had demonstrators in Italy, too!!! 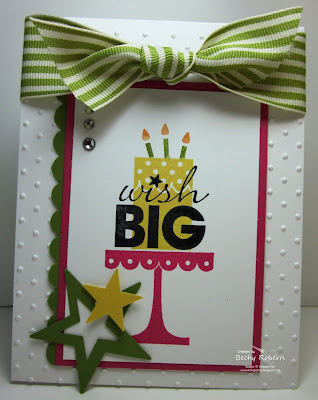 I'd love to be a demonstrator for Stampin Up but that's not possible in the Netherlands yet. I am convinced there is a very large market for it here but it seems to be a problem for your hq to start business in Holland.